Please contact us at wgc@wgc.school.nz if you know of any former Wellington Girls’ College students who you feel should be honoured. To raise awareness of the varied sucesses of WGC old girls by regularly exposing students to successful ‘locally grown’ role models. To give an opportunity for young people to learn more about working for themselves and to enable them to be involved in researching the prospective member. To celebrate the success of past members of the school community in a public fashion. For creating a vibrant and successful business combining her passion for dance and her entrepreneurial skills. Libby attended Wellington Girls’ College from 1998 to 2002. She was one of two lead choreographers for the Wellington Girls College winning entry for Stage Challenge in 2002. 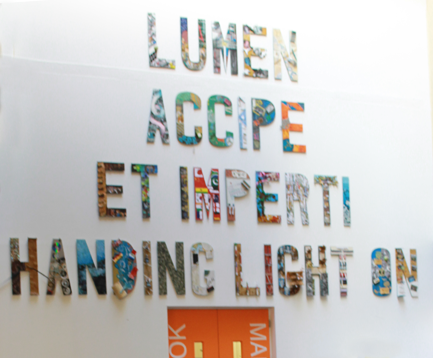 During her time at Wellington Girls’ College, Libby achieved an overall A for her Bursary level studies. She won both the Alliance Francais Speaking Competition and the Goethe Speaking Competition in 1999. After leaving the college, Libby completed a Bachelor of Arts Degree With Honours, with French and German majors, at Victoria University. In 2001, at the age of 16, Libby Calder created Pump Dance Ltd, a highly successful Wellington based hip hop dance company. Today there are over 300 students and 14 dance instructors at Pump Dance Studios, all of which are involved in competitions and performances throughout New Zealand. Since 2001, Libby has regularly conducted hip hop dance workshops at schools and dance studios in Wellington. Libby has been involved in dance productions for Maori TV, What Now TV, The Fringe Festival, Cuba St Carnival, The Good Morning show and Top of the Pops. In 2008 she was named as a Lifestyle Ambassador for Mission On, promoting the benefits of a healthy active lifestyle while doing dance workshops in schools throughout New Zealand. In 2008, Libby judged the dance section of the Regional Stage Challenge competitions. She is also a founding member of the all female dance crew, Infinite, who compete and perform regularly around Wellington. Before embarking on the adventure of ‘The Apprentice’, Meena was an accountant for Ernest and Young in Wellington and jumped at the opportunity to be a part of the New Zealand version of the Apprentice. Meena knew that this would challenge her and that she would learn a lot from the experience. Unfortunately Meena didn’t make it all the way. Since leaving the apprentice, she took some time out, travelling to Ireland to complete a project. Meena is a very sporty person. She is a fan of Hockey, Snowboarding and cricket. These sports give her a chance to show her competitive streak. In fact, whilst she at WGC, Meena became the captain of the 1st XI Hockey team. In her final year, Meena was an executive prefect, being a part of the executive council. This shows that Meena displayed leadership qualities whilst at school and was well respected by her peers. Meena has not yet made her mark on the business world; Meena has many positive attributes making her an excellent role model for aspiring business women. Meena, is hard working, determined and always 100% focused on the job at hand. She is a team player and always pulls her weight. These are the qualities that great leaders and great business women should possess. For her creative and pioneering use of internet technologies to enhance corporate marketing strategies. Born in Wellington, Kay (Hooper) Dangaard received her secondary education at Wellington Girls’ College. Kay has had a distinguished career first as a journalist and then later in very senior roles in the public relations and marketing divisions of large corporations such as Columbia Pictures and amazon.com. As a journalist Kay worked in South Africa, the United States and Hongkong. She was one of the first, if only, Western female writer to cross into Mainland China at the height of the Cultural Revolution. In her public relations and marketing role Kay was Vice President of Advertising, Publicity and Promotion for Columbia Pictures Television. In 1987 she became interested in emerging internet technology and accepted, when asked by a group of young “techies” in Marina del Rey, California, to launch THE SPOT, the first episodic show on the World Wide Web. Kay created and implemented what has since become known in technology circles as the first viral marketing campaign. Her on-line launch campaign resulted in a record-breaking audience to a website. In early 1997, one year after the launch of THE SPOT Kay was approached by Jeff Bezos the founder of a then start-up company, Amazon.com to become Chief Spokesperson and Director of Press Relations for amazon.com. In this position Kay was responsible for the development and implementation of global corporate, financial and consumer publicity. “The next three plus years I was running on strong Seattle coffee and pizzas,” she says. By May of 1997 the company had gone through a highly successful Initial Public Offering and Dangaard and Jeff Bezos began travelling the world as the company launched sites in Britain, Europe and Asia. That August amazon.com proposed putting a short story writing contest on-line inviting users of the site to compete to add a paragraph a day until the story was complete. Amazon.com editors would select the best paragraph entered each day and add it to the story. Looking for a media-hook Kay came up with the idea of pulling in an American literary giant to begin the story. She sought assistance from the publisher-relations unit at amazon.com and they landed for her Pulitzer Prize winning author John Updike. After “retiring” from amazon.com Kay Dangaard returned to Los Angeles. She currently is a director on the board of AvaWorks, a privately held Santa Monica, California corporation. The company owns patented technology enabling the transmission of avatars/sprites to mobile devices. She is also a director on the board of Cyber Oasys Corporation, located in Santa Monica, California. Kay has served as Vice-Chairman on the Board of Directors of Young Artists International. As benefactress she personally underwrote concerts that enabled young award-winning musicians from twenty countries to perform at Disney Concert Hall in 2004 and 2005. In 1995 Kay produced the first Webby Awards, held at the famed Hollywood Roosevelt Hotel, the site of the first Academy Awards. Kay is currently resident in the United States but comes back to New Zealand regularly. Whaea Cathy was born in Whakatane. On her Dad’s side she is from Ngāti Porou and on her Mum’s side she is from Te Arawa. In 1966 she moved with her family to Wellington and started school here at Wellington Girls’ College. In 1968 she was named Head Girl and in the same year she was awarded the Anna P. Stout cup for all round excellence. She asked the principal at that time if she could learn Māori but her request was denied. In her own words, it was then she realised that society needed to change in order that Māori might live. Following school she studied te reo Māori at Victoria University. It was at this time that she joined her peers to form the Reo Māori society. This group was instrumental in lobbying for Māori news on radio and television, establishing the first Koha and Te Karere programmes, as well as the first training programme for Māori television producers and directors. In 1972, Cathy, along with other passionate advocates of Te Reo Māori, presented the Māori Language petition to Parliament. The petition signed by 30,000 people that was presented on the steps of Parliament called for the teaching of Māori language and culture in New Zealand schools. It was a watershed moment in our country’s history. Because of this work Māori Language Day was established which later became Māori Language Week. In 2011 her accomplishments were recognised by both her iwi, Te Arawa and Ngāti Porou, who gathered to celebrate her Honorary Doctorate, conferred by the University of Waikato. 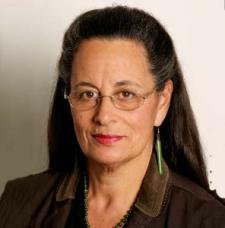 In the same year she was made an Officer of the New Zealand Order of Merit for her services to Māori. For utilising their talent, dedication and energy, Rachel Easting and Anjali Stewart to earn a respected place in the challenging world of the fashion industry. The founders of fashion label Twenty seven Names, Anjali Stewart and Rachel Easting who were inducted into the WGC Business Hall of Fame 2008, recently received a $10,000 DHL Express Fashion Export Scholarship. This is designed to help emerging fashion companies interested in exporting to offset some of the costs of sending their product overseas. Kate Sylvester, one of the judges said that the winning companies had shown a mixture of creative talent and business sense, a combination which was vital to success. Twenty seven names intends to use part of the scholarship to send product to the UK. Since its creation in 2006, directional label twenty-seven names has inspired a cult-like following. With art and fashion degree backgrounds respectively, designers Rachel Easting and Anjali Stewart cite contemporary art as the basis for their collections. Their label is ever-migrating and can be found nationwide as well as in stores across Australia, America and the United Kingdom. Glenda has turned her love of sports, and her communication and organisational skills into a successful public relations business that has influenced and inspired many sportsmen and women. A former sportswoman, Glenda is a National Championship shot-put record holder, a Commonwealth Games Representative and holder of four New Zealand power lifting records. She has worked with the NZ Olympic Games Committee and is still involved in sport as an advisor to many of our top athletes, in media relations and other management support programmes. She established her own media consultancy company in 1988 and has been an advisor to many top athletes, including Bernice Mene, Danyon Loader and Mark Todd. Glenda Hughes attended Wellington Girls’ College between 1963 and 1966. Throughout attending Wellington Girls College, Glenda distinguished herself in shot-put. In 1966, she received an award for academic excellence. Glenda Hughes has been described as a strong, fearless and independent thinker who chases her goals of professionalism and principles without favour. New Zealand’s first Pacific Island woman Member of Parliament and first Pacific Island woman Minister of the Crown Laban was born in Wellington to Samoan parents. Before entering politics she was a family therapist, Probation Officer, School Counsellor and community development worker, focusing particularly on the Pacific Island community of New Zealand. Laban graduated with a degree in Social Work from the Victoria University of Wellington and later in Development Studies from Massey University. In 1992 she was bestowed the Samoan matai chiefly title Luamanuvao from the village of Vaiala, Vaimauga, in recognition of her work. She resigned from Parliament in October 2010 to take up the new position of Assistant Vice Chancellor (Pasifika – Victoria University, Wellington, NZ). In 2011 Luamanuvao Winnie Laban was honored as a Companion of the Queen’s Service Order (QSO). For transforming her talent for innovative cooking and her passion for healthy ingredients into a highly successful business both in New Zealand and overseas. Annabel Langbein is recognised as one of New Zealand’s most creative culinary figures. Annabel has worked extensively as a food writer and televison chef. Her entry to food writing started in 1984 with a fortnightly column for the NZ Listener magazine. She was a feature writer for Cuisine magazine for 11 years and food editor for Grace magazine. She has worked regularly on television as a food presenter since 1990, and continues to host a weekly radio talkback food show. The author of eight top-selling food books, Annabel has published her books internationally in nine languages. She is also winner of many NZ food writing awards. Her book “The Best of Annabel Langbein- Great Food for Busy Lives” won the 1999 NZ Guild of Foodwriters “Recipe Book of the Year” and has sold more than ½ a million copies internationally. Savour the Pacific, which has also been successfully published on the international market, won the “Best Photography in the World” Award at the World Cookbook Awards in Perigueux, France, and a Ladle at the World Food Media Awards in 2001. She now devotes her time to writing and publishing and looking after her young family. food is a lovely reflection of her warm, outgoing personality and simple, gracious approach to hospitality. She has an intuitive sense of what busy people need and want these days … interesting, uncomplicated dishes that are fresh, flavourful and easily accomplished. Her recipes celebrate a healthy, wholesome New Zealand way of living, all with style, resourcefulness and creativity. Her cookbooks feature innovative, exciting ideas, appealing to both professional and home cooks alike. Annabel Langbein is a remarkable chef and teacher. The generosity of her spirit is reflected not just in this impressive collection of recipes but also the hundreds of helpful suggestions and hints that are sprinkled throughout the book. Vivian Lynn is a prominent New Zealand feminist artist. Her work has been featured in numerous art galleries around the country including the National Art Gallery and Te Papa. She is best known for using hair, skin and other human materials. Her creations are hard to categorise because she has worked with so many different media over the years, such as painting, sculpture and printing. This is characterised by her wish to not be defined by a particular style, and the constant use of different media keeps her on the edge with her art. She branched out from oil on canvas by 1968 because it was a medium with a very masculine history. Lynn examines the pressures of society on the individual, the norms that dictate our behaviour, the attitudes that direct our thoughts, and the clichés that shape our beliefs. Vivian Lynn was born in 1931 in Wellington. She attended Wellington Girls’ College from 1945 to 1948. Her art teacher took her on weekend trips to Otaki to paint. Lynn continued her education in Christchurch, where she studied painting. After receiving her Diploma in Fine Arts she studied at Auckland Teachers’ College and she received an award for outstanding art student of the year. Until 1996 she was a lecturer in drawing and design at the Victoria University and Wellington Polytechnic Schools of Architecture and Design. One of her best-known exhibits is the ‘G(u)arden Gates”, a collection of seven pairs of farm gates with hair arranged over them in in a variety of different ways. It was part of a Te Papa exhibition of female contemporary artists. They represent, amongst other things, the influence of our patriarchal society and the process of discarding that influence in order to truly be herself. Another prominent piece was Iron Maiden, which Tina Barton described as ‘a mirrored box with an open lid in which she displays a line-up of tiny, malformed foetuses crafted out of modeling compound that are positioned under magnifying lenses to exacerbate their deformities.’ Lynn takes a deep interest in ecology. In fifth form she won the school prizes for both art and science. This work is one of many which make an environmental statement. In particular, it shows what impact our actions now will have on the children of the future. Today Vivian Lynn is still a practising artist, always looking forward to contemporary forms of inspiration and to what thrills her next work will unlock. Some of her work has been purchased as recently as last year and she is donating a catalogue of her work to our very own WGC. 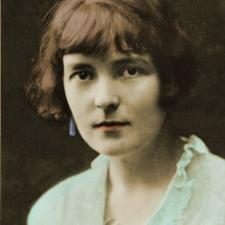 Katherine Mansfield was born Kathleen Beauchamp in 1888 at Tinakori Road. Her father was an up-and-coming businessman and the family moved to Karori when she was four. She attended Karori village school and in 1898 started at Wellington Girls’ College. Her first publication, ‘Enna Blake’, appeared in theHigh School Reporter the same year. In 1899 she and her sisters moved to Miss Swainson’s school in Clifton Terrace, and in 1903 went to London where both girls attended Queen’s College. Mansfield returned to Wellington for a couple of miserable but productive years from 1906 to 1908 during which she went on a camping trip to the Urewera district which she used as a setting for her story ‘The Woman at the Store’. In 1908 she left New Zealand for Europe never to return. She died of tuberculosis in Fontainebleau near Paris in 1923. Mansfield is considered one of the most important writers of the modernist movement of the early twentieth century. Several of her stories concern her Wellington childhood. ‘Prelude’ describes the family’s move to Karori; ‘The Doll’s House’ the Karori community; ‘The Wind Blows’ a typical southerly day; ‘The Voyage’ a trip to Picton on the ferry; ‘At the Bay’ a day in the life of a family at the beach at Days Bay and Eastbourne. ‘Her First Ball’ and ‘The Garden Party’ are based on family social occasions typical of late colonial Wellington. Shona McCullagh MNZOM, is one of New Zealand’s outstanding cross platform artists. A choreographer for dance, theatre and film, Shona is also a director, dance filmmaker, educator and kinesthetic visual artist. In 1987, Shona travelled to the US, England and Canada, performing with Douglas Wright & Dancers in New York. On her return to New Zealand, she was voted 1988’s Best Dancer by Metro magazine. She was a founding member of the Douglas Wright Dance Company and became its Associate Director in 1991, touring to the London Dance Umbrella and the Holland Dance Festival. Shona has choreographed many successful works for companies such as Limbs, Douglas Wright Dance Company and The Royal New Zealand Ballet. She has also created work for theatre, television and film, including sequences for Peter Jackson’s Fellowship of the Ring and King Kong and Auckland Theatre Company’s Equus and Sweet Charity. In 1992, she formed her own company, The Human Garden, which toured to Chile and was commissioned by the International Festival of the Arts to create a full-length work, Quick, integrating film and live performance. In 1999, Shona was named a New Zealander of the Year in North & South magazine’s feature on “100 New Zealanders Who Made A Difference”, and in 2000, she became a Member of the New Zealand Order of Merit for her services to dance. Shona’s three films have achieved international recognition and unprecedented sales for NZ work featuring dance as a narrative medium. Her first film, Hurtle, won several international awards, including the Paula Citron Award for Choreography for Camera at the Moving Pictures Festival in Toronto. Her second film, fly, won the Australasian ReelDance Awards and her third film break won the American Dance on Camera Festival in 2007 and the People’s Choice Award at Reeldance in 2006. Patricia “Trish” McKelvey CNZM MBE (born 5 January 1942 in Lower Hutt, Wellington, New Zealand) is a former New Zealand cricketer, cricket administrator and educator. She played 15 women’s Test matches for New Zealand, captaining the side in all of them. The record was two wins, three defeats and five draws. Her Test career spanned the period 1966 to 1978/9, and included Tests against not only traditional rivals England and Australia, but also against South Africa and India. The three-Test tour of South Africa in 1971/2, which was won 1–0, was the last official representative match any South African cricket team, men’s or women’s, would play for 18 years as teams boycotted South Africa because of the apartheid regime. McKelvey scored 699 Test runs at an average of 29.12, with a highest score of 155 not out. She also captained New Zealand in all 15 women’s one-day internationals she played in, winning seven, losing seven, with one tie. 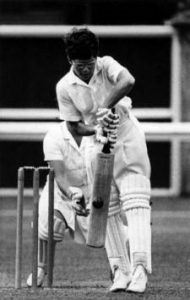 McKelvey also played for the International XI in the 1973 women’s World Cup, finishing fourth out of seven teams.McKelvey’s 15 Tests as captain means she has captained New Zealand more times than the next two women in the list combined. As of July 2005, she remains the only New Zealand women’s Test captain to have won a Test match. In 1992, McKelvey became the first woman board member of New Zealand Cricket. Outside of cricket, she has a distinguished career in education. She trained as a physical education teacher and taught at Hutt Valley Memorial College, Solway College and Wellington High School. She was principal of Wellington High School for seven years, retiring in 1994. She has since served on the boards of other educational institutions. McKelvey was appointed a Member of the Order of the British Empire for services to women’s cricket in the 1981 Queen’s Birthday Honours. In the 2005 Queen’s Birthday Honours she was made a Companion of the New Zealand Order of Merit for services to education. In recognition of her outstanding contribution to the theatre, television and film in New Zealand. Elizabeth partook in many cultural events, including two school productions and Marjorie Nicholls speech competitions, and it is clear from the decision to appoint her as Head Prefect in 1954 that she was an integral part of the school community. Whilst holding this position she was also house captain for Cecil. In the acting world, Elizabeth is perhaps best known for her portrayal of Marjorie Brasch on the NZ soap opera Shortland Street. Elizabeth played the role from its beginning in 1992 until 1996; with further appearances in 1998 and 2002. She has also held various other film and television roles over the course of her career. Including TV show, An Angel at my Table and Never Say die. She also appeared in the 2002 film All about Reinalda. Elizabeth was a founding member of Mercury Theatre Company, run from the Mercury theatre in Auckland from 1968 to 1991. She also taught voice and speech. She later acted for Theatre Corporate. Her Auckland Theatre Company credits include THE CRUCIBLE, THE WIND IN THE WILLOWS and Social Climbers. In 2006 Elizabeth, was made an Officer of the New Zealand Order of Merit (ONZM) for Services to Theatre. Her contribution to New Zealand in the Arts Industry has been invaluable and we are proud to have her as one of the members of our brand new Hall of Fame. She is the epitome of a well-rounded Cultural woman and we are proud to say that she is an Old Girl of the college. Melissa Moon is a New Zealand runner who runs for Wellington Scottish Harriers. 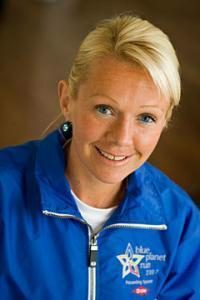 Melissa is a two time world mountain running champion, she has also won around 21 national athletics titles over her career. Melissa is also renowned for her stair running, she is the world stair running champion and a two time Empire State Building Champion which she won in her best time of 12 minutes and 39 seconds for 86 floors. Melissa also dedicates a lot of her time to helping the less fortunate she has previously worked in the Wellington soup kitchen for 10 years and she has also been to Hanoi in Vietnam to massage disabled streetkids, while she was there she also participated in the Hanoi vertical run which she placed second in. Overall Melissa is a well rounded down to earth woman who has a love for endurance and testing mental and physical race. 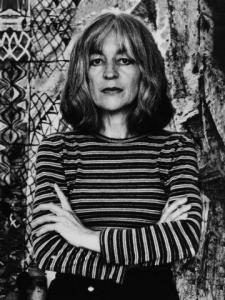 For her achievements in many areas which have enriched New Zealand’s literary and artistic heritage. Jenny Pattrick played an active role in the life of the college; she was a published writer in the school reporter and entered the Marjorie Nicholls speech competition several times during her time here. In 1952, Jenny was also in the school production of Androcles and the Lion. Jenny Pattrick received an endorsed school cert 1953. After leaving school, she first trained as a teacher. In 1969 Jenny began her career as a jeweller. Her work has been exhibited in New Zealand and internationally, as well as featuring on the book cover of her second novel, Heart of Coal (Black Swan, 2004). Jenny Pattrick’s crowning achievement is her literature, making a name for herself from her successful debut novel, the Denniston Rose. Whilst she is widely known as a historical novelist, she has also written fiction for print and radio. The Denniston Rose and its sequel heart of coal are two of New Zealand’s biggest-selling novels. 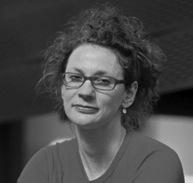 In 2009 Jenny Pattrick was awarded the NZ Post Mansfield Prize, incorporating the six-month Katherine Mansfield Fellowship in Menton France. Pattrick has long been active in the arts community and has served as President of the Crafts Council. 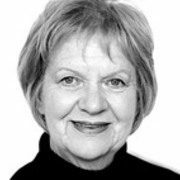 She has chaired the Arts Council and has served on the boards of Toi Whakaari: New Zealand Drama School, the New Zealand School of Dance and the New Zealand Festival of the Arts’ New Zealand Post Writers and Readers Committee. This shows that she truly has made a wide ranging contribution to New Zealand’s arts and cultural heritage. Her contribution to arts and Culture in New Zealand is undeniable and she is the perfect role model, we hope she will inspire future female generations, and you girls sat here today to embrace New Zealand’s history and pursue a career in the arts. Perrott was barely noticed when she first swam competitively in New Zealand – she was a member of the Fiji team at the 1974 Commonwealth Games in Christchurch. But by the next Games, the Olympics in Montreal, she was swimming for her native New Zealand and was a sensation. She was the fastest qualifier from the 400 metres freestyle heats in Montreal and was fourth in the final, missing a medal by a touch. 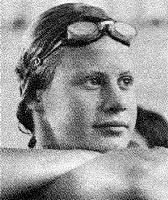 At the Commonwealth Games in Edmonton in 1978, she won the 200 metres freestyle and was second in the 200 metres individual medley. It was while preparing for Edmonton that Perrott’s coach, Tony Keenan, talked to champion endurance swimmer and journalist Keith Hancox about the need for money so Perrott could compete internationally. Hancox raised the necessary money and, reasoning that other sports people would be in similar positions, began negotiations that led to the formation of the foundation, of which he was the original chief executive. For creating a multi- faceted business encompassing catering, cooking school and cookbooks for the love of good food and the hospitality which she learned at home. Ruth Pretty, a top New Zealand chef and caterer is recognized not only for her outstanding fresh and new cuisine but for her numerous business achievements. She is regarded as the capital’s top chef, but is recognized throughout New Zealand as well as overseas. Ruth’s involvement with New Zealand cuisine all started when she ran the ever popular restaurant Marbles, in the 1970s. Ruth ran Marbles for ten years, when she decided she needed a break from the busy restaurant. In 1988 Ruth Pretty Catering was developed. Ruth Pretty Catering was a big success and still is today. Ruth Pretty Catering is involved with some of the most prestigious events in New Zealand and as well as abroad. One of Ruth’s many achievements has been her books. They include many traditional as well as new and original Ruth Pretty recipes. A well known achievement of Ruth’s is her amazing cooking school. Ruth Pretty Cooking School was opened in Te Horo in 1993. Ruth writes for Wellington’s Dominion Post in a weekly column as well as many feature articles for Cuisine magazine. Ruth has appeared on TV cooking shows in New Zealand and around the world representing the finest of New Zealand’s food. For her part in creating and publishing an internationally successful series of books for children learning to read, combining sound research with the skill of writing satisfying stories. 1953-1956: Began teaching at primary schools in the Wellington district. While teaching, Beverley realised that there was a lack of interesting stories to help young readers who found reading difficult. She started to write stories which young children would find enjoyable and exciting, and which would help them to read. What began as a dining-room table effort by two husband and wife teams, the Price’s, (Beverley and her husband Hugh), and their friends the Milburn’s, led to the establishment of Price Milburn, a respected and highly successful publisher of children’s books. Price Milburn was founded in 1958. In the 1980’s the company was sold to an Australian publisher. It was then taken over by an American firm. Price Milburn books are translated into many languages and are read in many countries including Canada, Britain, Australia, New Zealand and Denmark.Total book sales are uncountable but estimated to be over 200 million. In 2004 Beverley was made a Member of the New Zealand Order of Merit for services to Children’s Literature and Education.In 2005 Beverley was awarded the Ordre National du Mérite by the Government of France for promoting ties between New Zealand and France. Randerson, Jo is a fiction writer, playwright, theatre director and performer. She was born in Auckland and grew up in Wellington, where she gained a BA in Theatre and Film from Victoria University of Wellington, and was awarded the prize for best portfolio in Bill Manhire’s creative writing course in 1996. 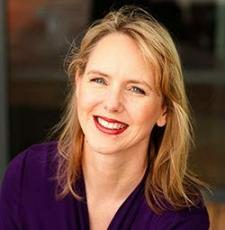 She is the founder and Artistic Director of Barbarian Productions, a Wellington-based theatre production company. Jo writes short stories and prose poems, often with a philosophical theme. She has a sharp ear for dialogue and is interested in experimental forms. Dialogue and experimental forms are a key part of her writing for theatre and publication. Reviewer Margot Schwass, writing about Randerson’s first short story collection The Spit Children in The Evening Post, comments that Randerson’s ‘narrative voices are wonderful – funny, troubled, yet cracking hardy: “Just then the head of her doll came off accidentally in my hands. I said I was very sorry but she told me to go home now because she was bored of me”’. In a review for The Keys to Hell in Landfall 209 Anna Smith writes that ‘Randerson’s world is a “holding tank” inside which we shriek, or remain terrified and mute witnesses to the despair that is life – a theme rehearsed over and over. Provocation, not subtlety, is the writer’s special effect’. Randerson’s published books are The Knot (Wedge Press, 1998), The Spit Children (Victoria University Press, 2000), and The Keys to Hell (Victoria University Press, 2004). She is the author of numerous plays; those published include Fold (The Play Press, 2004), and Banging Cymbal, Clanging Gong in Red Light Means Stop (Women’s Play Press, 2003). Randerson’s play ‘Good Night – The End’ played at Downstage Theatre in Wellington in 2009. She has also been widely published in literary journals such as Sport, Landfall and Glottis, and anthologies, including The Picnic Virgin (VUP, 1999). Her short story ‘The Sheep, The Shepherd’ appears in The Best of New Zealand Fiction. Volume Three (Vintage, 2006). She won the Sunday Star Times Bruce Mason Award for playwriting in 1997 and was the 2001 Robert Burns Fellow at Otago University. In 2003, she was a Department of Conservation Wild Creations Artist in Residence. The programme aims to encourage artists to create works inspired by New Zealand’s natural and historic resources. In 2008, the Arts Foundation of New Zealand honoured Randerson as an Arts Foundation New Generation Award recipient. The award celebrates early achievement to five artists biennially who are judged to have developed an individual identity that demonstrates richness, range and depth, and stand for the strength and quality of their particular art form in New Zealand, at their level. She has also been short-listed twice for the IIML Prize in Modern Letters, and was the recipient of the 2009 Foxton Fellowship, worth $6,600. Margaret was a former Cabinet minister and member of the Labour party. 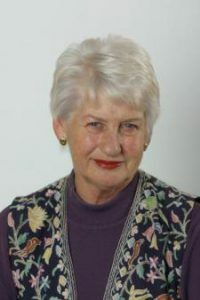 She represented the electorate of Kapiti from 1981 to 1990. She received the Insignia of a Distinguished Companion of the NZ Order of Merit in 2009 and was a a founding member of the Pauatahanui Inlet Community Trust. Margaret held offices in the UN Development Fund for Women, the UN International Research and Training Institute for the Advancement of Women, the National Council of Women and the Federation of Graduate Women. Beth Smith, formerly Beth Jurgeleit, was a WGC student from Year 9 in 1994 to Year 13 in 1998. Beth played hockey for all of her five years at WGC. She started off in the 2nd XI team and then moved up to the 1st XI in Year 12. In her final year Beth was named hockey player of the year. Her highlight of school hockey was winning the second tier tournament, the Marie Fry Trophy, in Greymouth in 1998. Beth went on to be the goalie for our national women’s hockey team, the Black Sticks, and made her debut against Japan in 2003. She played 105 international games for New Zealand, playing at three Champions’ Trophy campaigns, three Champions’ Challenges, two Olympic Games, two Commonwealth Games and one World Cup over her years in the team. She has experienced many highs including beating South Africa 2-0 in the 2005 Champions’ Challenge. They also won the 2009 challenge by the same score to the same team. She also was part of the team that won a silver medal at the New Delhi Commonwealth Games. Beth decided to retire from hockey in 2010 to focus on finishing her law and commerce degree. She has now completed this and is a qualified lawyer. 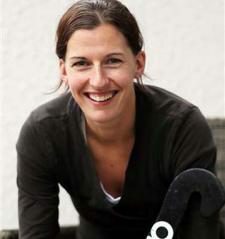 However, hockey isn’t completely gone, as she is still a member of the International Hockey Federation Athletes’ Commission. In recognition of an outstanding career of public service in New Zealand and overseas, specialising in governance, development and equity issues. Helen Sutch was a student at Victoria from 1963-67, member of the VUWSA Executive 1963-64, NZUSA Vice-President 1965-66, and represented Victoria at women’s hockey 1963-66. She was active in the Drama Club and Committee on Vietnam, and organised a teach-in on Vietnam at VUW in 1966. 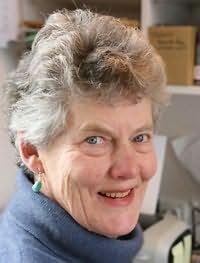 She obtained from Victoria an MA with first class honours, received an MPhil in Economics at Oxford in 1970, and returned to VUW in 1971-72 to lecture in Economics. Her professional grounding is as a public economist with a strong interest in social and poverty issues. After working in the UK Government Economic Service on policy and research on urban poverty, Ms Sutch joined the NZ Treasury in the mid-1970s, and then worked at the OECD from 1981-85. 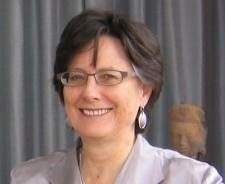 She returned to become economic adviser to the Prime Minister in late 1985, and later Director of Policy and Research and Chief Labour Market Adviser in the Labour Department, where her team contributed analysis on Treaty, immigration, pay equity and other issues for the Royal Commission on Social Policy. In 1989 she took the Advanced Management (CEO) Program at the Harvard Business School before joining the World Bank (1989-2007), first in francophone Africa, and then in Eastern Europe and the former Soviet Union, where she contributed to a wide range of macro-fiscal and institutional reforms and was also a member of the Bank’s Board on Women in Development. After three years in Warsaw working on governance issues in Poland and the Baltics she became manager in 2000 for Public Sector Governance strategy, programs and knowledge management Bank-wide, before moving to the East Asia and Pacific region in late 2003. Ms Sutch returned to Wellington in 2004 where she now works on her own account, with a continuing involvement in PNG and East Timor. Jenny’s career as a singer, and more recently a classical voice lecturer, is inspiring to all girls wishing to pursue their passions in all fields, but particularly cultural. Jenny attended Wellington Girls’ College from 1976-1980 and was involved in many aspects of school life, both sporting and cultural. She took part in athletics, winning the 200m senior sprints in 1980. As well as this, Jenny was involved in many facets of the cultural life of the school, including playing Dido in the school’s production of ‘Dido and Aeneas’. It was her musical talents that she later decided to pursue. Jenny has had a long and very successful career, so it will be hard to try to condense all her achievements. She completed a Bachelor of Science at Victoria University and after this, attended Wellington Polytechnic for vocal training, achieving a certificate with distinction in executant music. Jenny won a full fees scholarship to study at the prestigious Curtis Institute of Music in Philadelphia, from where she graduated with a Masters of Music in 1991. Jenny eventually returned to New Zealand and Australia to continue her career as a singer. The critics say that she is noted for expressive interpretations of new and unfamiliar works as well as the classics. She performed all over the world and is a sought after soloist for leading New Zealand arts organisations, most notably the NZ Symphony Orchestra, in the NZ International Arts Festival and for NZ Opera, the State Opera of South Australia and the Tasmanian, West Australian, Melbourne and Adelaide Symphony Orchestras. As well as performing, Jenny currently holds the position of Senior Lecturer in Classical Voice at the New Zealand School of Music where she teaches, among others, our former Head Girl (2011) Katherine McIndoe. She is also a Trustee of the Dame Malvina Major Foundation. Because of her obvious passion for her work and her exceptional talent, Jenny is an inspiration to not only those girls intending to have a career in music, but all students. It is a privilege to have Jenny inducted into the Wellington Girls’ College Cultural Hall of Fame.